The project includes the analysis of the current BART system guidelines for refinements and updates, plus the programming and developing the signage packages for the four stations. 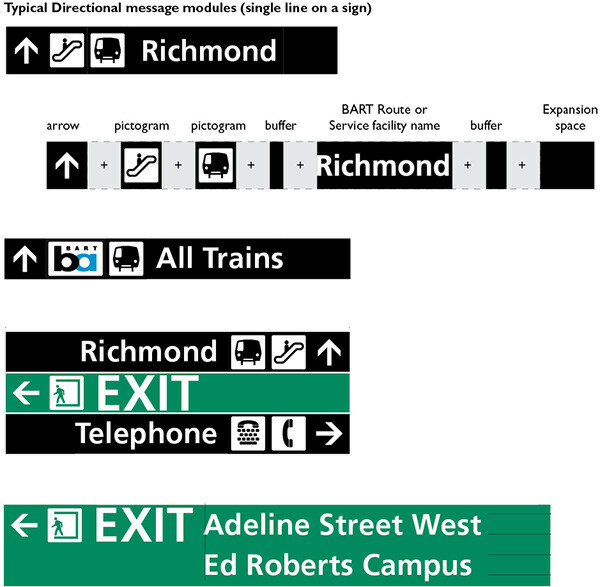 The analysis of the standards will determine what improvements to the signage and wayfinding strategy can be developed and implemented based on these four “pilot” stations. New sign types, new layouts and graphics are also being developed for the guidelines. Review of various stages of development of the BART wayfinding and signage system and development of wayfinding packages for four BART stations undergoing renovations.